Proudly serving East Manchester and Hellam Townships as well as Hallam, Manchester, Mount Wolf and Wrightsville Boroughs with portions of Eastern and Northeastern School Districts. The jurisdiction of District Court 19-3-11 also includes I-83 from Route 30 to the Strinestown Exit by Judicial Order. Magisterial District Judges are given jurisdiction to hear civil cases up to $12,000 (excluding interest and costs). The Magisterial District Judge has jurisdiction in cases of assumpsit (contract law), trespass (tort), landlord/tenant act, and fines and costs arising from violations of statute or local laws (Clean Indoor Air Act, etc.). Civil cases must be proved by a preponderance of the evidence or a 51% to 49% "tipping of the scales". Magisterial District Judges cannot hear title to land issues. Magisterial District Judges also hear summary cases. 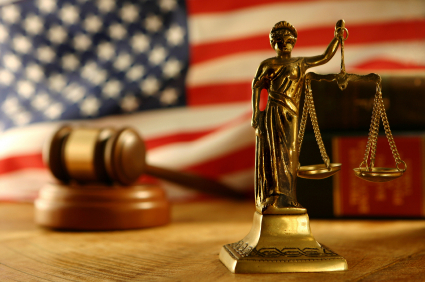 Summary cases consist of traffic citations, non-traffic citations for “minor” criminal offenses and violations of statues and local ordinances. Summary citations are designed to recognize the relatively minor nature of the offense and for the quick disposition of the case before the court. Citations are either issued to you or filed and mailed. You have 10 days to respond by following the instructions on the citation. The Magisterial District Judges also have criminal jurisdiction over felonies and misdemeanors and violations of the fish, game and dog laws. The Magisterial District Judge determines, in criminal cases, if probable cause exists for the issuance of search warrants and arrest warrants. The Judge will also conduct preliminary arraignments (the first step in the court process after arrest where a defendant receives charges, bail is determined and a date is set for a preliminary hearing) and hold preliminary hearings. Preliminary hearings are the court proceedings wherein the Judge determines whether a prima facie case (a crime has been committed and the defendant likely committed the crime) has been shown by the prosecutor. Additionally, Magisterial District Judges are responsible for issuing Emergency Protection From Abuse Orders (PFAs) and may perform weddings. Your local Judge will often be the only exposure the average citizen has with the court system outside of jury duty. While not always a pleasant experience, hopefully you will walk away feeling that you were treated fairly and with respect.